SENIOR PORTRAITS 2.0 – Now it’s time to update our fellow professionals with a fresh look both a 2011 senior boy and girl sessions. You’ll be in the camera room with Tim and his assistants as he creates a large collection of images for each. 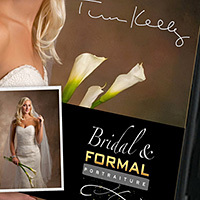 BRIDAL & FORMAL PORTRAITURE 2011 – With wedding photography becoming less and less formal, a growing number of Brides (an their Mom’s) are looking for an updated and sophisticated classic portrait. Would you like to be more confident the next time you have an opportunity to do a formal shoot? Join Tim and his assistants in a full length session, creating a large collection of beautiful, artistic and salable images. 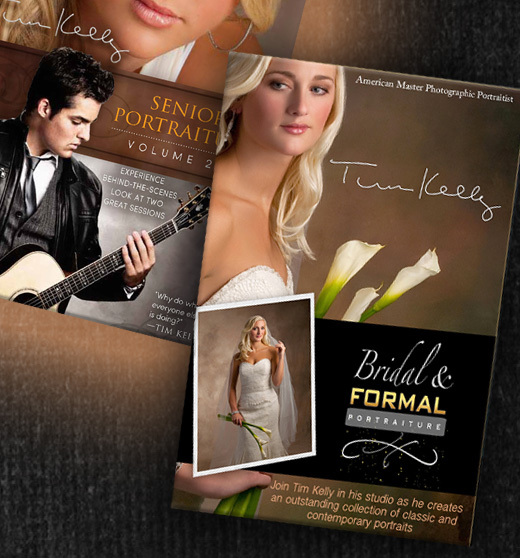 This DVD also includes a chapter that takes you through dozens of Tim’s formal images, discussing the important lighting, posing and design elements that we help you take your portraiture up another notch.